After the announcement of the dynamic duo’s decision to focus on individual projects, Fred V and Grafix present their first solo releases in almost a decade. Renowned for synth-driven symphonies and soothing songwriting, Fred V brings a high dose of octane electronica in the down tempo fix, ‘Burning Me’. Grafix has taken a fresh direction with ‘Frozen’ travelling down the rough and rugged techy route, ready to shatter dancefloors worldwide. Plus it’s about to be a big year for Hospital Records’ commander-in-chief London Elektricity as he returns from the studio a the dynamic funk-ladened D+B spectacular, ‘Funkopolis’. Other highlights include Benny L’s re-rub of John Holt’s reggae hit ‘Police In Helicopter’, with a rugged bass to make the rave shake. The first lady of Bassline and UKG royalty Flava D also joins the fold for an exclusive first flex into the realms of D+B, the silky slick selection ’Return 2 Me’. 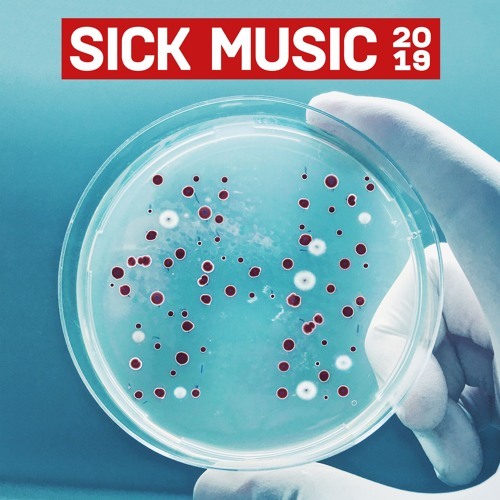 The latest rendition of our ‘Sick Music’ series also sees a string of all-star remixes with Whiney’s robust rework of Degs’ summer anthem ‘Poveglia’, Bop’s long awaited glitch-riddled remix of Anile’s ‘Allergens’ and S.P.Y’s ‘Dusty Fingers’ getting a special Metrik rework. ‘Sick Music 2019’ will be available as a 25-track digital download, 3 x CD (including 1 x Mixed CD) and a limited edition box-set, available exclusively from The Hospital Shop. Included in this premium ‘Sick Music 2019’ lift-top box is a 4x12” vinyl pressing, which includes all 25 tracks in luxury printed spined sleeve inners, with a custom slipcase. A ‘Sick Music 2019’ 16GB USB, a ‘Sick Music 2019’ Tee and sticker set.